Home / Framed Photos / NASCAR's 2009 Framed Champion Photo! 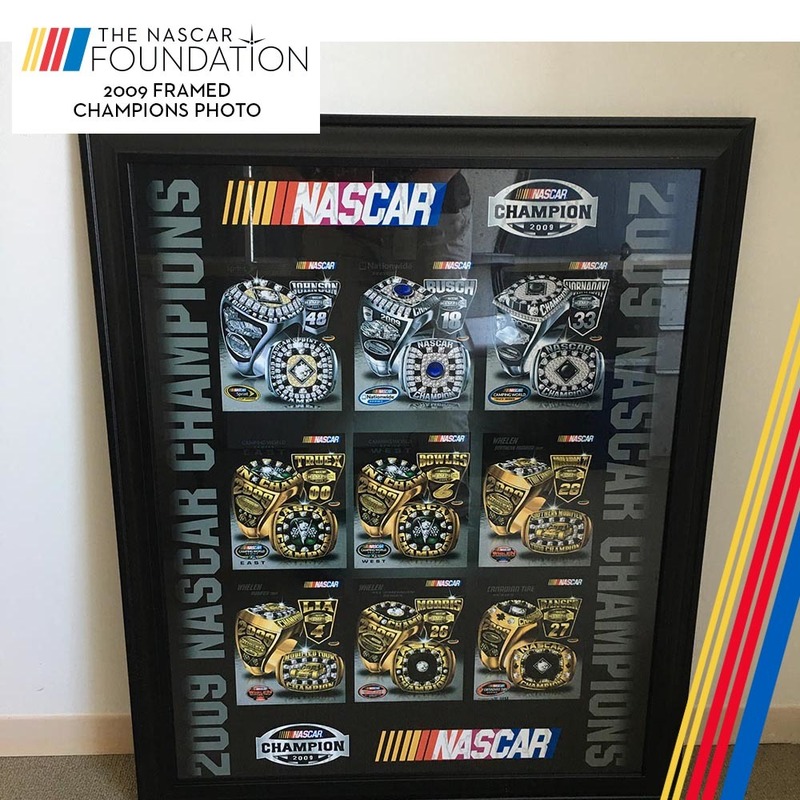 NASCAR's 2009 Framed Champion Photo! Bid on this 2009 NASCAR Champions professionally framed photo by Jostens! 2009 NASCAR Champions honored are: 2009 NASCAR Sprint Cup Champion Jimmie Johnson, 2009 NASCAR Nationwide Champion Kyle Busch, 2009 NASCAR Camping World Truck Series Champion Ron Hornaday Jr., 2009 NASCAR Camping World Series East Champion Ryan Truex, 2009 NASCAR Camping World West Champion Jason Bowles, 2009 NASCAR Whelen Southern Modified Tour Champion George Brunnhoelzl III, 2009 NASCAR Whelen Modified Tour Champion Donny Lia, 2009 NASCAR Whelen All-American Series Champion Philip Morris, and 2009 NASCAR Canadian Tire Series Champion Andrew Ranger! Item has been on display and measures 34 x 28.